When the temperatures start to rise, that doesn’t mean your height shouldn’t also rise. With the Summer 2018 collection at GuidoMaggi you can accessorize your perfectly tailored style with a pair of height increasing shoes, boosting your confidence and your elegance. The style of the modern gentleman reflects quality tailoring and craftsmanship, both in clothing and footwear. But what’s important to remember is the attention to detail. Handmade clothing, footwear and accessories using the finest quality materials help to give the modern gentleman his sleek, pristine appearance. Italian footwear is one of the world’s most sought after fashion items because of the use of luxury fabrics and the high quality craftsmanship, which is why handcrafted Italian elevator shoes are the perfect complement to any modern gentleman’s look. A tailored suit is an essential part of any modern gentleman’s wardrobe. And just because it’s the summer season, that doesn’t mean you don’t need a slick formal outfit. One of the hottest trends for Summer 2018 is the pinstripe suit. Keep it cool and fresh with a crisp white shirt underneath. Navy is also a big color for this season and you can combine the two trends by opting for a navy pinstripe suit. 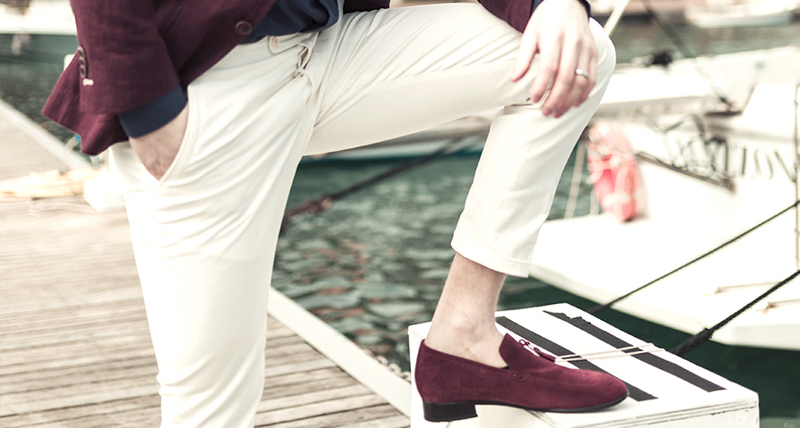 The Imperia loafers will add elegance and confidence to this style, and can increase your height by 2.6 inches. The beautiful burgundy suede Tuscan leather elevator shoes are handmade in Italy and benefit from tassel details on the front, giving a stylish look that will also keep your feet comfortable in the summer weather. You don’t have to be in formal attire to channel the style of the modern gentleman. Casual and sporty styles can also be elegant if you choose the right outfit and pair it with stylish Italian elevator shoes. With the summer season comes the tennis season, so it’s time to bring out your whitest whites and traditional tennis styles. The Wimbledon elevator sneakers will help to channel that elegant tennis trend while also increasing your height by 2.6 inches. So you can sport the trend with confidence and grace, whether you’re attending the famous Wimbledon tennis championship or not. Whatever style or look you go for this summer, there’s a pair of elevator shoes for every occasion. Your footwear can be the key to the success of your outfit, boosting your height, confidence and your style.